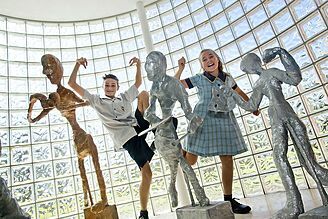 Immanuel College is a co-educational day and boarding school from Year 7 to 12 offering the International Baccalaureate Middle Years Programme. At Immanuel College we do things differently. Combined with our strong Christian values, our reputation for academic results, educational innovation and an integrated holistic approach to achieving every students’ greatest potential, and you have an education with a real edge. 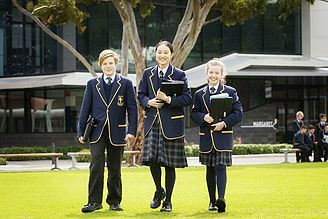 Established in 1895, the College is a school of the Lutheran Church of Australia and actively strives to provide an education in a Christian context where the whole person can grow and develop. Its curricular and co-curricular programs offer students opportunity for spiritual and moral growth, service and social involvement, excellence in academics, the arts and worthwhile physical activities, to prepare them for their individual vocations and a Christian life. The Middle School at Immanuel is a distinctive and caring community environment which values its Lutheran ethos and which focuses on nurturing and fully developing the individual potential of all students in a supportive and academically challenging environment. Students in the middle years are growing toward independence and the challenges of their adult lives. 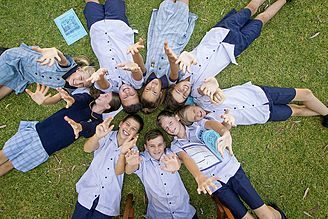 To support their growth and development in these critical years, Immanuel College has developed a distinctive Middle School facility which provides a secure, village like learning environment with outstanding contemporary learning facilities. Our dedicated and highly trained staff are familiar with the specialised social and academic needs of adolescent learners. Students within the Middle School study within the International Baccalaureate Middle Years Program (MYP) framework. 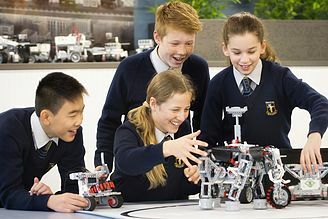 The Middle School curriculum provides challenging standards, skills, creativity, and flexibility to help students grow towards self-reliance and responsible participation in Australian society. Students are supported in their personal development by class tutors who mentor, monitor and support as students move through years 7-9. Class tutors provide a point of immediate contact for parents and a means to collaboratively address issues as they arise. Students in each year level are immersed in a range of challenging outdoor experiences away from the campus and in some distinctive personal development programmes that aim to develop character, resilience and personal integrity as basis for their adult lives. These programmes culminate in their ‘Journey’ experience as a cornerstone of the Year 9 programme. The Middle School at Immanuel operates on the premise that education can foster understanding among young people around the world, encouraging future generations to live peacefully and productively together.